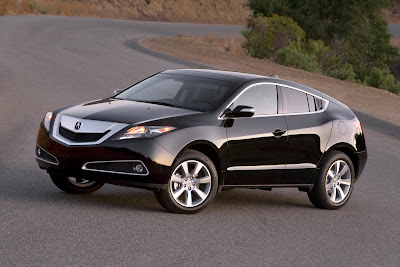 The all-new 2010 ZDX four-door sports coupe is set to go on-sale at Acura dealerships on December 15 with a manufacturers suggested retail price (MSRP) starting at $45,495, plus a destination and handling charge* of $810, Acura announced today. *MSRP excluding tax, license, registration, $810.00 destination charge and options. Dealer prices may vary. i realize that this is kinda like their flagship as they figure out once again what to do w/ the RL but that is kinda pricey ... this is not gonna help their sales figures @ all. I feel like Acura is a mess now!